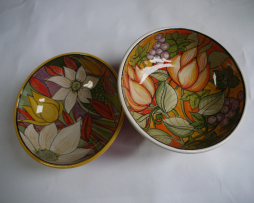 Kitchen bowls with floral decorations. 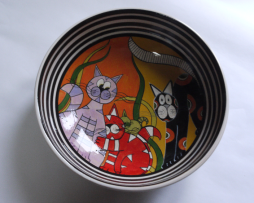 Kitchen bowl with interior kitten decoration and exterior striped decoration. 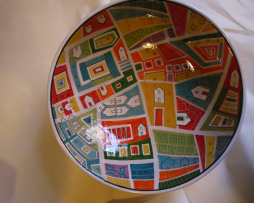 Conical Kitchen Bowl with interior decoration and plain external decoration. 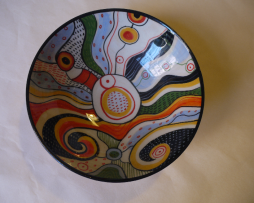 Thin Kitchen Bowl with interior decoration “Vortices” and external solid decoration. 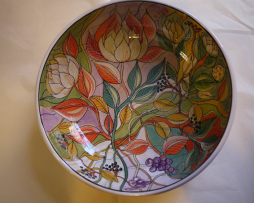 Kitchen Bowl with floral interior decoration and striped exterior decoration. 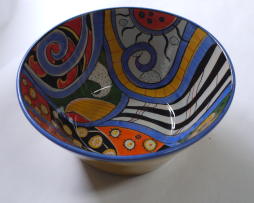 Kitchen Bowl with interior decoration and exterior decoration in lines.